It is with profound sadness that the family of Jerry Lee Wyatt announces his death, at home surrounded by his family, on October 18, 2018, after a 16-month battle with Acute Myeloid Leukemia. He was 73 years old. Jerry was born on June 5, 1945, to the late Eli Jerry & Dorothy Love Wyatt. Jerry graduated from George Washington High School and married his soul mate, Dawn Clifton Wyatt on March 6, 1964. They celebrated 42 years of marriage together by loving, supporting and respecting each other through all the ups and downs, laughter and tears life had to offer, until her death in 2006. “Nine Fingers”, as he was known by many, loved cars – especially the “classic oldies” and always had a great story about his 1955 Chevy. He started selling cars at Tamson Chevrolet in his early 20’s and realized it was something he liked doing. He enjoyed talking to people, found he had the “gift of gab” and a career was born. He earned a reputation for being straight forward and honest with customers. It served him well, his customer base grew, he met his future business partner, and in 1975 Jerry & Hinky opened Eanes & Wyatt Auto Sales, Inc. on Riverside Drive. He considered himself lucky because he was able to go to work each day doing something he enjoyed. Jerry was an astute, respected business owner in the community for over 45 years. Jerry lived his life charging full-steam ahead, most of the time with his best friends Chuck Derrick and Louis Dibrell by his side. He was always eager to discover what each new chapter of his life had in store for him. Being a little bit of a thrill seeker, he raced dirt bikes, loved speed boats, took up hang-gliding and became a pilot, all before his 35th birthday! There are many stories about the antics of his youth; which almost always included M-80 firecrackers, Forest Hills and a cannon that had to be sealed with concrete … odds are there may be a few gentlemen in town who are the only ones that know if these tall tales are local legend or fictitious stories from his youth! 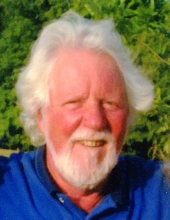 Jerry was active in numerous civic organizations in Danville and was a previous member of The German Club, The Executive Club, Tuscarora Country Club and Danville Golf Club to name a few. He belonged to the Virginia Independent Automobile Dealers Association (VIADA), the National Independent Automobile Dealers Association (NIADA), as well as the Cessna Pilots Association. Jerry was blessed to find love again with his Life-Partner, Laurie A. Wilmoth of Danville. They enjoyed many years of Sunday morning flights over Danville, walks on the River Trail with their Labrador Buddy and afternoon rides through the Blue Ridge Parkway. They embraced the time they shared and took trips of a lifetime to Ireland & Canada. They always relished their peaceful, long walks on Sunset Beach. In addition to his parents and wife, he was predeceased by his nephews, Matthew David Wyatt and W. Keith Reid; his younger brother, Samuel Glenn Wyatt; and twin grandsons, B.J. and Brandon Cassidy. He was many things to many people … Husband, Father, Brother, Friend, Grandfather, Great Grandfather and Uncle. Jerry’s zest for life will always be carried in the hearts of his daughters, Mitzi W. Cassidy and husband, Shawn, Marti W. Chattin and husband, Robert, all of Danville; his brother, David E. Wyatt and wife, Joyce of Oak Island, N.C.; his sisters-in-law, Heidi Wyatt of Bandera, Texas, Deanna C. Reid and husband, Wallace of Troy, N.C., and Elease C. Bolton and husband, Bill of Danville; his four grandchildren, Tyler R. Cassidy and wife, Marla of Durham, N.C., Hunter W. Cassidy and wife, Rachel of Clayton, N.C., Peyton O. Chattin and Spencer W. Chattin of Danville; one great-grandson, Bennett M. Cassidy of Durham, N.C.; as well as numerous nieces & nephews. Jerry carved out a path for his life; he created a family, built a business he was proud of, chose some great friends along the way and chased his dreams … all the while building a foundation strong enough to hold up and protect the people he loved from whatever life threw their way. His family was always his number one priority. He worked hard, played hard & laughed hard but most importantly – HE DID IT HIS WAY! Always thinking of others, Jerry requested that everyone consider becoming a blood and/or platelet donor. Being a donor truly is the gift of life. A celebration of Jerry’s life will be held at 2 p.m. Saturday, October 20, 2018, at Norris Mt. Hermon Chapel. Come as you are. Following the celebration, the family will receive friends from 2:30 p.m. to 3:30 p.m., and at other times at the residence, 2855 Westover Drive, Danville. Norris Funeral Services, Inc. & Crematory, Mt. Hermon Chapel, 3995 Franklin Tpke., Danville, Va. is respectfully serving the Wyatt family. Online condolences may be made at www.norrisfuneral.com. To send flowers or a remembrance gift to the family of Jerry Lee Wyatt, please visit our Tribute Store. "Email Address" would like to share the life celebration of Jerry Lee Wyatt. Click on the "link" to go to share a favorite memory or leave a condolence message for the family.